Venice is awesome! There is no place like it in the world. In order to truly enjoy its uniqueness like a local, you MUST do these 7 things! 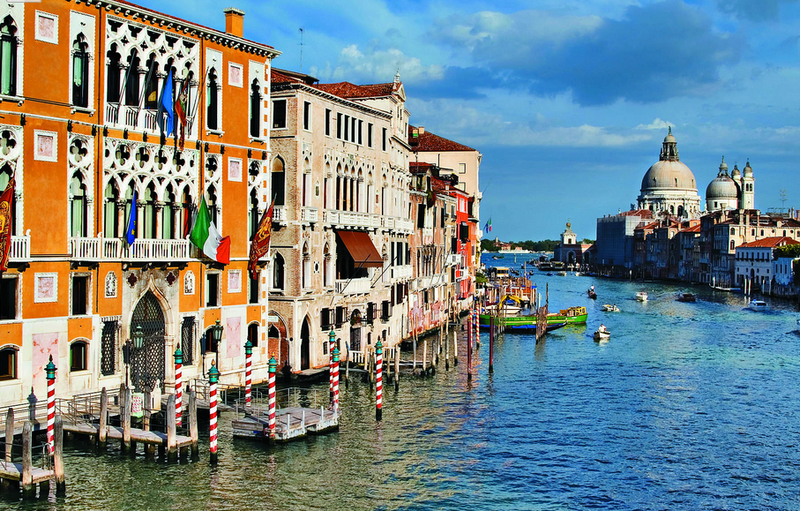 Coming to Venice and not going down the Grand Canal is like going to Paris and not seeing the Eiffel Tower – you just gotta do it! Whether it’s by gondola, water taxi, or vaporetto (waterbus), take the time and spend the money to see Venice the way it is meant to be seen – from the water. The palazzi along the Grand Canal are magnificent and if you go in the evening, around sunset, the lighting is spectacular. I feel so sorry for people who come all the way to Venice and only see San Marco and Rialto – they are missing the beautiful essence of the city! In order to truly capture the magic, you must venture past the tourist spots and go to the “hidden” streets full of local charm. Hint: If you see a gondolier trying to get customers, then you haven’t gone far enough – keep going! My absolute favorite time to explore Venice is in the early morning – around 8:00 am. Most tourists are not out yet and the city is full of local activity. The locals and their kids are on their way to school and work, trash boats are loudly collecting and emptying trash bins, delivery boats are busy maneuvering through the canals, and the streets are filled with the scents of espresso and freshly-made croissants. I love to start my morning with the rest of the Venetians standing at the bar (counter) to enjoy my espresso while chatting. Then after being nicely caffeinated, I love wandering in and out of streets and over bridges watching all the morning mayhem on the canals below. 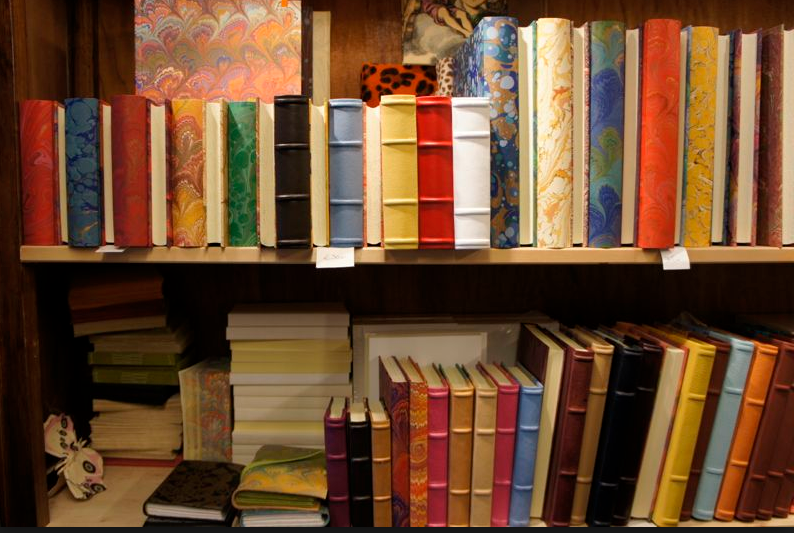 Venice used to be filled with shops selling handmade crafts and artwork, but now it has been overtaken by mass market and commercial products. However, some of the true Venetian artisans are still scattered throughout the city and offer a beautiful look into Venice’s artistic past. Cichetti (pronounced cheeketty) are Venice’s version of tapas. There are many varieties of these delicious snacks and a great way to spend an afternoon is to pop into several of them and try a few at each. Some people call this a “cichetti crawl”, the snack version of a pub crawl. 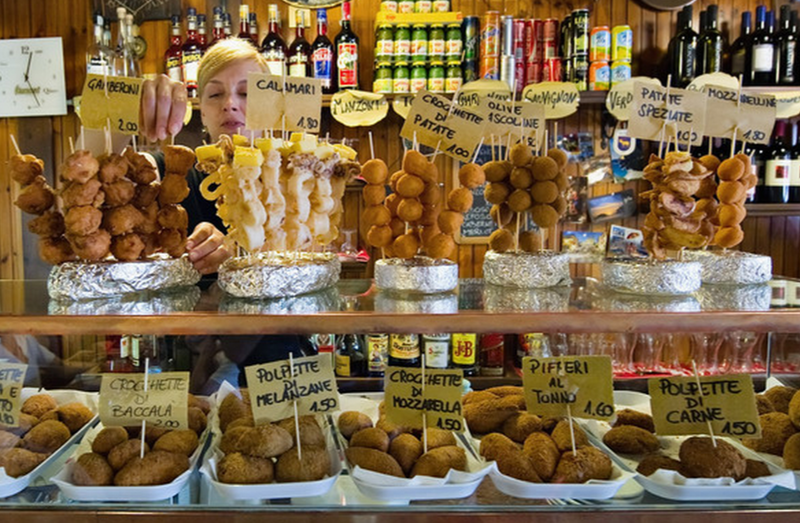 There are many cichetti bars all over Venice and finding them is half the fun! Buon appetito! 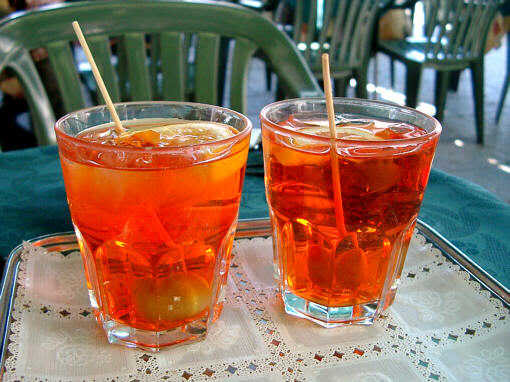 A spritz is a famous Venetian cocktail made of Aperol or Campari, prosecco, and bubbly water. They are served over ice with a green olive and an orange wedge. Most Venetians enjoy them in the evening after work while chatting with friends. They are very refreshing on a hot day, especially when paired with some fried cichetti! 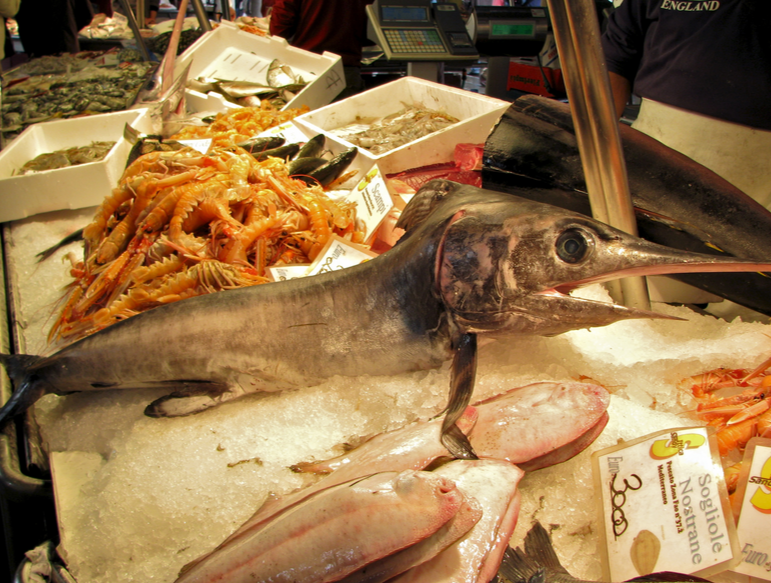 If you want to see locals in a shopping frenzy, then head on over to the Riato Fish Market. Here the people watching is as good as it gets. You can watch local old ladies vie for position at the fish or produce stand and see the fisherman beautifully display anything and everything they caught that day. Live snails inch their way off the table to safety, squirming eels and crabs try their best to escape, and wide-eyed swordfish greet customers with a smile. 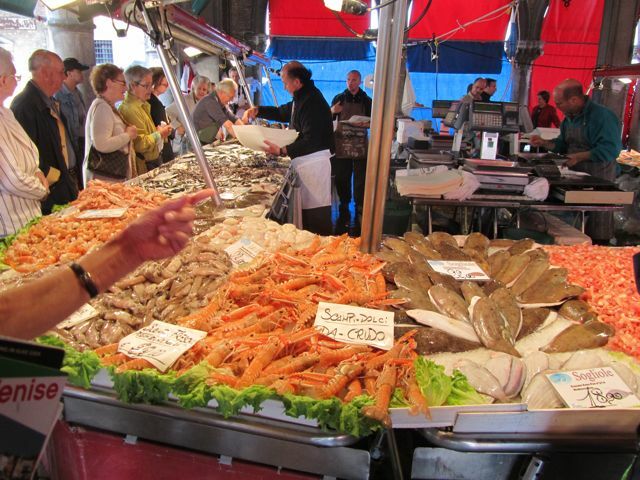 Oh, just another morning at the Rialto Fish Market! Well, there you have it! 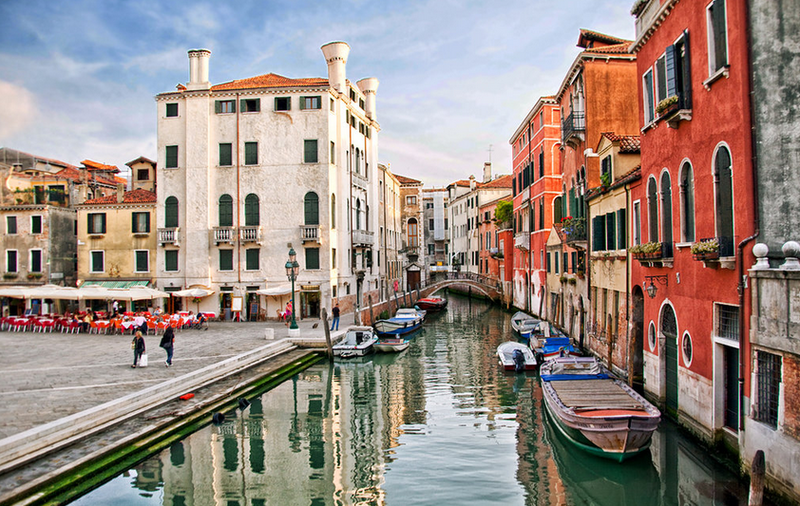 7 awesome ways to enjoy Venice at its best! I hope you will find it as amazing as I do! How about you? Do you have something to add to the list? Please share with us! November is a great time to come! Make sure to go to the local campo (square) in the afternoon around 4pm and watch all the local kids play while enjoying a rest at a cafe. Will you be there over November 11th by chance? I think it’s November 3rd until 7th so unfortunately not why? On November 11 is the Festa di San Martino – a local holiday where the kids get dressed up like St. Martin and bang pots and pans from shop to shop while singing a song and collecting money. It’s really cute, but the best part is that they have the famous San Martino cookies on sale from the end of October. You will be there to see these huge colorful cookies in the shape of San Martino on a horse in every pastry shop window. You must try one – they are delicious! After our 2 month break in Venice, we are off on a crazy 3 month non-stop trip to London, Estonia, Finland, Latvia, Lithuania, Romania, Portugal, Morocco, Ireland, then the US for the holidays. How about you? Thank you! We will be staying near King’s Cross. My 3 kids are attending a musical theatre camp near the Barbican. We adore London! Where are you living now? Or are you a nomad like us? Reblogged this on God's Treasure Quest. That is so funny that your husband recognizes the fisherman! 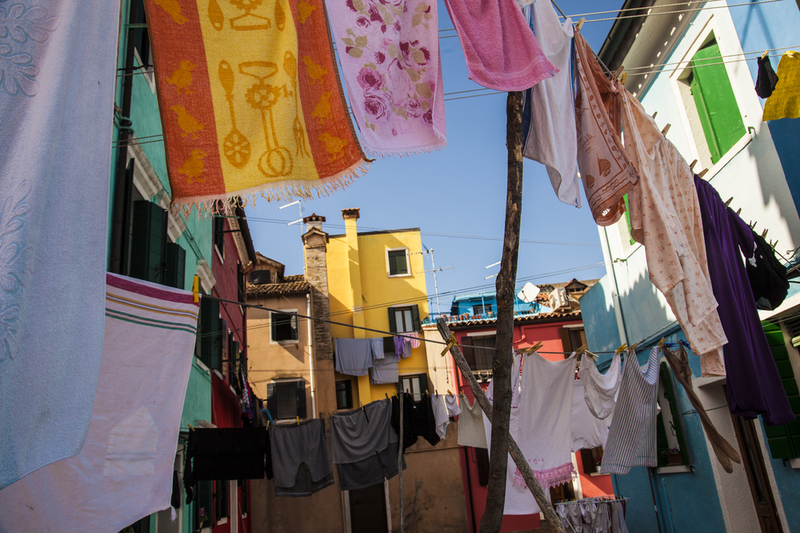 That’s what I love about Venice – the village life mixed with beauty and history!